Our lovely black girl was imported from the famous Charbonnel kennels in England. Although only shown lightly, Melody obtained her title easily with class in group wins. 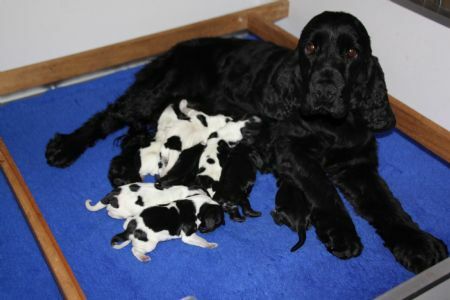 Melody has the most delightful temperament which we are pleased to say was passed down to her babies.